Wayward Wristwatches Scam! Don't Fall for this Free Watch Scam! I admit it. I fell for it. Hook, line, and sinker. Thankfully the Wayward Wristwatches scam only cost me around $50 to learn the hard way. So now i’m going to show you how to avoid this free watch scam for yourself. So what is Wayward Wristwatches? And what is this scam targeting Instagram brand ambassadors and users looking to grow their following and become influencers? Follow This Guide To Explode Your Instagram Following! In this article I’m going to share with you how this fake watch scam worked on me, from beginning to end. 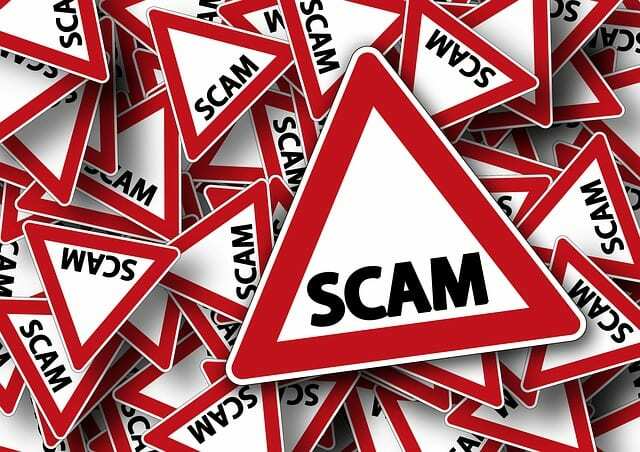 I’m going to share with you why this scam targets Instagram users looking to grow their following & the red flag that should have warned me something fishy was going on. First of all, what is an Instagram Brand Ambassador? You may have heard of “influencers” or “brand ambassadors” on social media before. It’s a term that’s very popular nowadays. Typically, you’ll see a celebrity on social media announcing that they have partnered with a popular brand and are now a brand ambassador for that brand. But really anyone with a large following, and thus large influence, can be a brand ambassador. Social media influencers with large followings typically get reached out to by brands and merchants to promote their product or service because of their influence. This is the first reason this scam works. I started getting contacted by merchants when I had as few as 1000 followers on Instagram. So with my following sitting at around 26k at the time this happened, this initial conversation between myself and Wayward Wristwatches stating that they wanted to send me some watches didn’t sound fishy at all. That conversation was started by a Wayward Watches Instagram account. At the time it raised no red flags. But as you can see by clicking the link, that Instagram account now no longer exists. I was offered 5 FREE watches. They provided a link to a professional looking website & a “personal 100% discount code”. As I’ll show you, the check out process was very legit, the discount code immediately discounted the cost of the watches, and all I was left to pay was shipping. I was even given a tracking number to track the shipment. Now, when doing a search for Wayward Watches on instagram several very similar accounts show up. No doubt the scam is still alive and well. Stay away from similar Wayward Wristwatches fake accounts! I recently did a review on a copycat business scam where one company is using a name VERY similar to another to gain trust, but one look at their website and you knew something was off. But what struck me about this free watch scam is the attention to detail it took to create this bogus Wayward Wristwatches website. Take a look for yourself and you’ll see at first glance it seems completely legit. I initially thought that Wayward Wristwatches was a legit company with a legit site that some scammers had simply made a copy of, much like what you see with PayPal and Ebay scams. However once I dug deeper I realized the ENTIRE COMPANY is bogus. I was so struck by the deal of getting 5 WATCHES FREE that I didn’t take the time to take a good look at the time pieces themselves. After I realized I had been scammed, I realized how none of the watches had any real branding on them. No logos or branding anywhere on the watch is usually the sign of a cheap watch. This is a huge red flag if you ever come across a free watch scam site showing what are supposed to be designer watches. A reverse image search for this watch confirms our worst fears. This is no sleek $100 watch. Instead, it’s a watch you can literally buy on amazon for a couple bucks. This is the part of the scam where they really went the extra mile to throw off any scent of something fishy going on. After perusing the flawless website and choosing my 5 watches, I entered the discount code they gave me: AMBASSADORZ4TY9. Surely enough and just as promised, $539.95 of the price was removed, leaving only $47.32 in shipping to be paid. What a deal, right? Now let’s be honest, had the website looked shady, or had there been no discount code, or had the watches been marked simply as “FREE” to start with it would have raised so many red flags that I would have just backed out of the website. BUT, because of this checkout process showing that “savings” right in front of me of almost $540, I was quick to completely dismiss the fact that I’d be paying nearly $50 in shipping. I’m sitting here thinking to myself, “When’s the last time you ever paid $50 for shipping, Eric? ?” But you know what? The scam worked to perfection on me and I didn’t bat an eye. Shame on me. And the cherry on top? They even provided me with a tracking confirmation page so that it would be days before I suspected that I had been duped. The timing of this hitting me when it did worked out perfect for Wayward Wristwatches. I was heading to Dublin, Ireland for St. Patrick’s Day and it really wasn’t until I arrived home that I realized my package had never arrived. I went straight to that confirmation page, click the confirmation number, and it all became clear that I had been scammed. Now, taking a look at the site with fresh eyes, it seemed so obvious to me. Still thinking the site itself was a legit one I looked to contact this company to let them know that someone was using them as part of a scam. Then I read the very fishy refund policy. “Because our wristwatches are made to order, we cannot allow returns or exchanges and all sales are final unless the product arrives damaged. ” Made to order? All sales final? Yup. I had been scammed. The Wayward Wristwatches scam is one that worked on me. It cost me almost $50 to learn this the hard way. Having been an Instagram brand ambassador in the past for several merchants, the initial offer didn’t seem fishy at all to me. I overlooked several red flags due to a very professional (and very fake) website and a checkout process that included a confirmation tracking number. Several details like the fact that there was no branding at all on the watches went right over my head. With such a “savings” headed my way, I completely overlooked paying almost $50 in shipping. Don’t let this free watch scam scare you from all things involving the internet. Unfortunately there will always be scammers out there. It’s our job to simply open our eyes and keep our eyes open for the red flags. You don’t have to have a huge Instagram and be an influencer either. Did you know you can create consistent monthly revenue in the thousands by building a website and learning how to drive massive traffic to it? You can do this in any niche you choose and be very successful with the right training. Read my full review for the affiliate marketing training community I recommend over all others to anyone looking to build a successful business online here. Has my experience with the Wayward Wristwatches Scam made you more aware of scams to watch for online? Have you ever seen a free watch scam like this before? 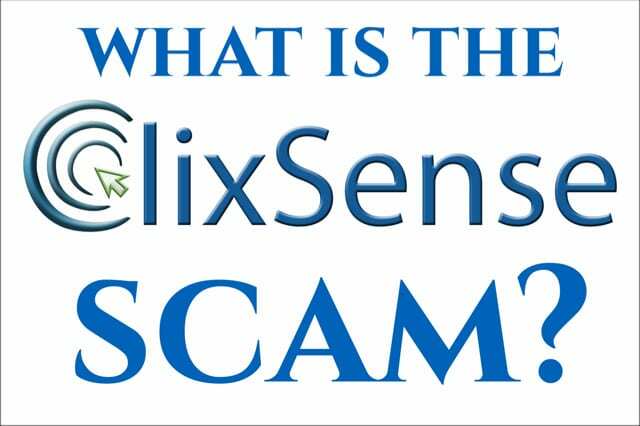 Have you ever found yourself on a free watch scam website? Are you more aware now of the red flags to look for? Share you own experiences and ask any questions you have in the comments section below. I always respond and I look forward to hearing about your personal experiences. Make a credit card claim. They should be able to refund you, specially since the package never arrived. Thank you for sharing your experience. This same scam happened to a good friend of mine. I don’t have many followers in my social media accounts, so I guess I wasn’t found luckily. Is is possible to report this accounts to Instagram? I hope many people read this and share it. Thank you for this! Your analysis on this wayward wristswatch free watch scam website has not only enlightened me on professional looking scam site but as well cautioned me more on what to look out for when ordering for products online. Thank you so much for the analysis. Now I know the red flags to look out for! Very glad to help! Thanks for the comment! Oh my! Scammers are getting very creative aren’t they? That might have fooled me too! Thanks so much for the heads up. I can’t believe they’re targeting social media influencers. Just crazy. I’m sorry you learned the hard way. Again, thanks for sharing your personal pain to help us spot similar scams. I really should have been more aware of what was going on. But it just goes to show how these scams work and why they work so often. Thanks for the comment! Good article and yes it certainly looks professional doesn’t it, a professional hit! Could you track where this so called company originated from, What address your items were being shipped from? Any way to contact them again? I have a friend who’s received requests from merchants but she’s never sure what to do? Any suggestions? But don’t let that make you think that there aren’t good opportunities that come from merchants reaching out to you. I get sent products all the time because of my Instagram influence and large following. The key is to remember (like I didn’t) that you never have to pay a dime to get these items sent to you from the merchants who want to use your influence to make sales to their target audience. I really appreciate this as a great warning and informative article. I haven’t seen this Wayward Wristwatches online before, though I have seen other free watch scams circulating. I usually buy my wristwatches from a reputable online store especially on amazons or Aliexpress, but I have to admit I would have fallen for this too. That’s why I appreciate sincere reviews like this on new products. Thanks for sharing this helpful information. This free watch scam was a first for me. Lesson learned. Thanks for chiming in! In hindsight, I should have seen the red flags, but this one got me. I have to admit, their fake website looked completely legit to me, and when I saw $500 worth of free watches coming my way, I overlooked everything else. Oh well. Best I can do is warn others 🙂 Thanks for the comment!